“Just as Adams mastered his prints and Rembrandt planned his pieces with meticulous care, I believe a great pictorial is more than a simple image of the click of a button. It’s a crafted work that illustrates my vision of a scene. It’s a slow deliberate process starting before the exposure is made and following through into carefully planned detail work, printing and stunning presentation. American Originals, Signature Wall Prints. Editions: A look at Gavin’s print styles. Signature Limited Edition Originals: These are Gavin’s certified signature pieces and are released in editions of 2 to 500 prints. When an edition is limited, the signed prints of that style and size will be cut off at the specified quantity and will no longer available. Once limited editions are gone, they’re gone. Limited editions are hand signed and include a certificate of authenticity. You can learn more about prices on Signature Originals here. Other available editions include Master Original Prints and Open Editions. Presentation Styles: A review of Gavin’s favorite presentation mediums that you’ll find in his print releases. Note that each image is only released in medeums that Gavin feels best conveys the scene. Contact the gallery for details on specific releases. Signature Bonded Canvas: This process has been around for decades and has withstood the test of time. It’s one of the finest methods I’ve found of presenting photographs and pays homage to Centuries of paintings and art. This is more refined than a Giclee process. The print itself is separated from the backing paper and the image is bonded to a real canvas using a press. The resulting piece is tightly stretched over wooden bars. It is very durable and can be framed with no need for glass. Signature Metal Prints. The image is fused onto a sheet of coated aluminum. The idea of metal images hearkens back to the Tintypes of the late nineteenth century. This is a modern process however that uses a transfer process to fuse the final image onto a coated sheet of metal. No other print medium can achieve the nearly three dimensional depth that can be had from a metal. That does not mean it’s better than other mediums however. All are stunning and each are suited to different images. 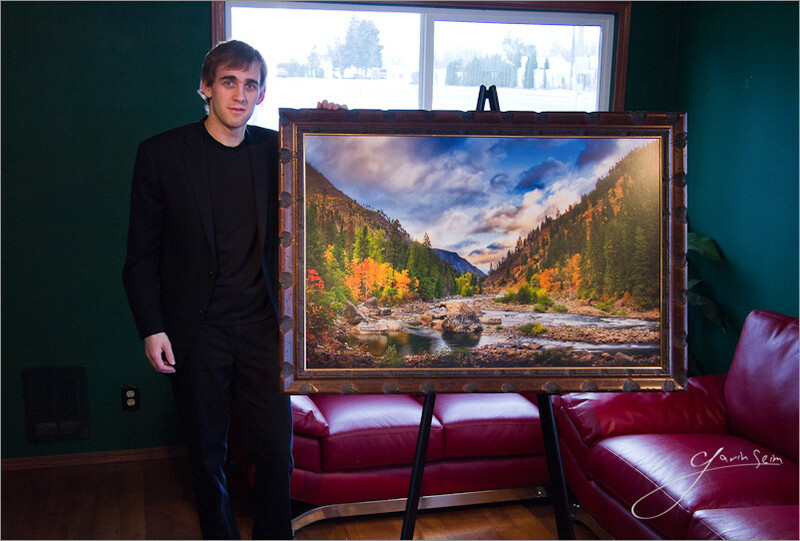 Signature Art Papers: Gavin’s fine art prints are presented on an RC or fiber style paper. They are mounted using archival grade materials and may be presented with or without glass. These fine prints can vary from classic satin papers to hand polished fiber rags. But all are refined and beautiful.